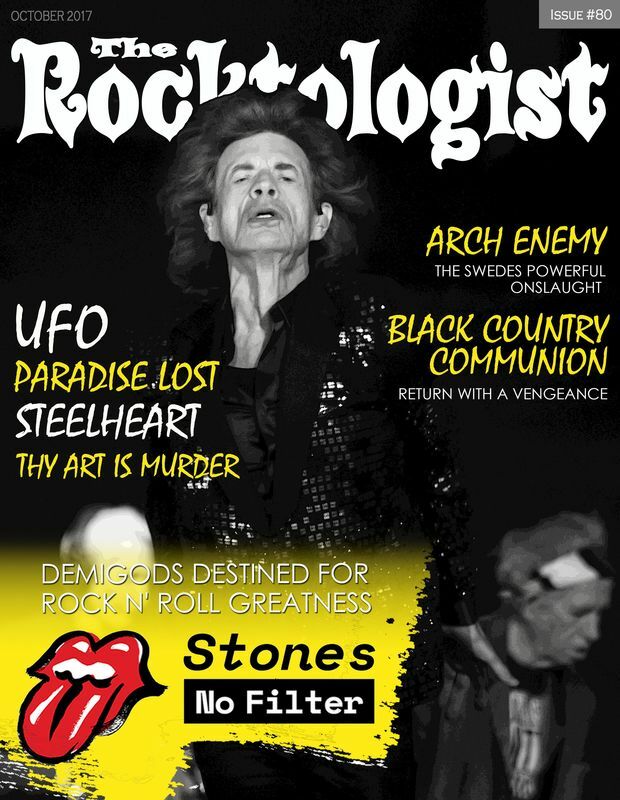 Here’s what Rocktologist has in store for October. A big hello from the mighty Rolling Stones - we caught up with unrelenting rock n' roll dinosaurs on their No Filter tour - brings joy to the masses (and loads of money to those standing opposite). Plus old friends Arch Enemy line up for another genuine trousers-down Scandinavian thrashing. We're happy to find UFO not just going through the motions with a set of neatly crafted covers. And there's more fun to be had this month; a new album shows Epica at their ludicrous best, Within Silence allow arrangement to expand and grow musical themes, while Bleeding deliver a set rammed with magnificent ideas that are overtly progressive and alternative. Among releases prescribed to warm your brains with are Anubis Gate (nasty shrieks giving way to trademark layered music of the most progressive type), a return to form by Speed Limit, Steelheart, Aerial School (mean-spirited tunes married to confident song-writing), Paradise Lost and Power Quest among others... Cheers! High hopes - There are plenty of killer bands and artists out there just waiting to be picked up, and Rocktologist is happy to give you some useful pointers on which of them to check out. This time we urge you to check out HUXTABLE.